November 2, 2018. On Monday the Fiscal Policy Institute joined members of the New York Counts 2020 coalition in front of Federal Hall to call on the governor and the state legislators to include $40 million in the state budget to fund community-based organizations working on maximizing participation in the 2020 census. November 2, 2018. Earlier this year, the Pew Research Center published a report showing that refugee resettlement was scaled back in the United States more dramatically in the United States than in any other country. In 2018, however, the refugee resettlement numbers have dropped even more dramatically. November 1, 2018. The National Association of Latino Elected and Appointed Officials, NALEO, keeps track of how many Hispanics serve in different government offices around the country. 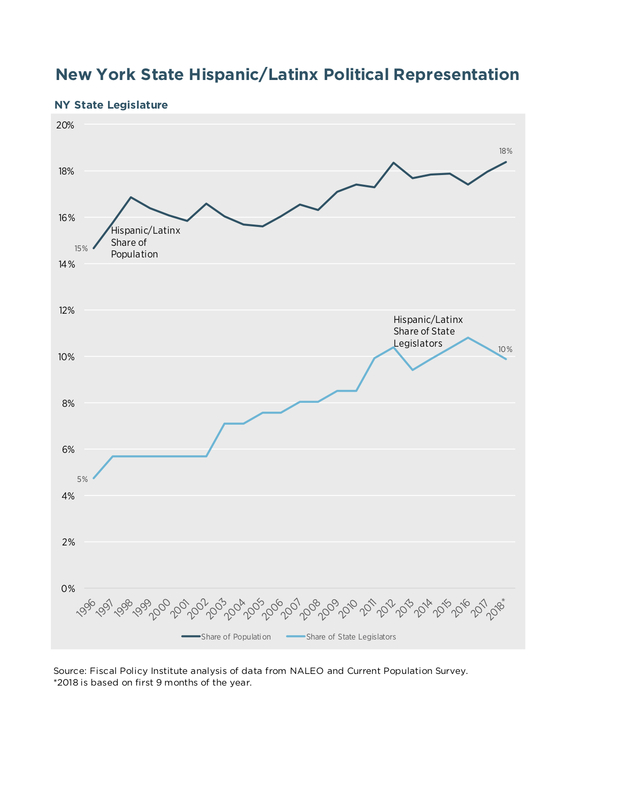 In New York, the numbers have been rising, but rising very slowly, over the past two decades. September 11, 2018. The Trump administration’s decision to decrease the number of refugees admitted and in general slow down the refugee resettlement process means that only a trickle of refugees are coming into the United States. As FPI noted in our recent reporton refugee employment, the United States is on track to resettle just 20,000 refugees in 2018, down from 97,000 in 2016. Report released today by Make the Road New York & the Fiscal Policy Institute shows white males massively overrepresented on Regional Councils and funding for communities of color drastically less than for white communities. See the press release letter here.